We are a well-known Manufacturer, Exporter and Supplier of accurately formulated Montijoy-L Tablets. 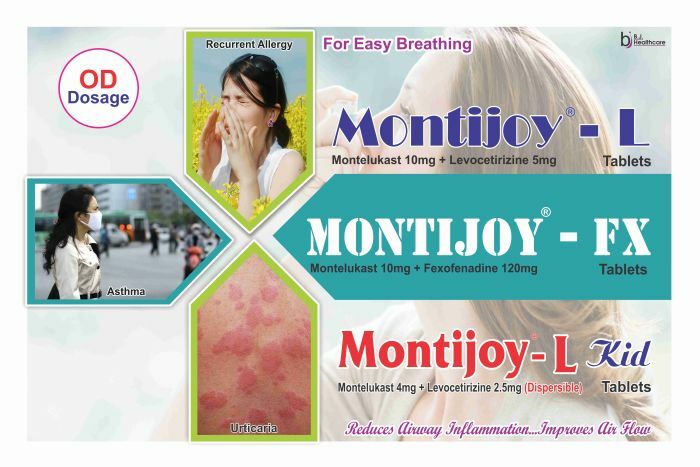 Montijoy-L Tablets, offered by us, are known for reducing airway inflammation. The Montijoy-L Tablets also improves airflow. The Montijoy-L Tablets are known for their accurate formulation.